The positive flow on effect from an industry disruptor. Being a regular Uber passenger I have met many interesting drivers and always engage in conversation while ‘ride sharing’. Many drivers are between other jobs, professions, studying or earning extra to pay down the mortgage, and they feel proud that they are self-employed. Many boast this as their new chosen profession. Some share their experience of the benefits of becoming self-employed with real contentment. When they tell me, I show genuine interest, because they are proud of being in this position. They feel they have a purpose, a reason, a bragging right. So I listen. I like engaging with new and happy people. And then we play our favourite game, we try to outsmart google, seeing if we can find a shorter way or faster, the driver is always happy to take suggestions. One of the great things about this new ‘industry’ that has sprung up from nowhere is that it allows people at the other end of the age spectrum to have and maintain a real sense of purpose in society. To become self-employed later in life for many is a real achievement. We live in a society that discards people at age 50 like Taiwanese used cars! On one such trip, I had the privilege of being driven by a 68 year old gentleman. He was just the happy, happy, happy type of chappy, “hello cobber..” and so on. Half way into the $7 minimum trip to my office, I apologise for the short trip (I do it to assess the driver’s state of attitude – if he shrugs, he gets a ‘3 rating’). He said it’s better than waiting in a rank for a job that may come along eventually whereas he would rather go to the job he definitely has so he is always in control. He looked at me like it was a strange question, I guess he didn’t like being classed as ‘old’, then laughed! Turns out he couldn’t think of anything worse than driving around Australia in a confined space with his missus for days on end! His polite response was he didn’t mind spending time with his wife of 40 plus years but apparently he was driving her nuts. 8 hours together a day for 40 years because of work commitments and now together 24 hours a day! So to save the marriage, he got a job! It earns him $800 per week net he said! This is disruption to the Nth degree. Who would have thought that from a crazy idea to provide a ride share alternative (while disrupting the taxi industry), that there would be such a ‘flow on effect’ where our senior people can now live in a society where they have real purpose, where they can continue to contribute, pay taxes and place less pressure on the federal budget in relation to welfare costs! 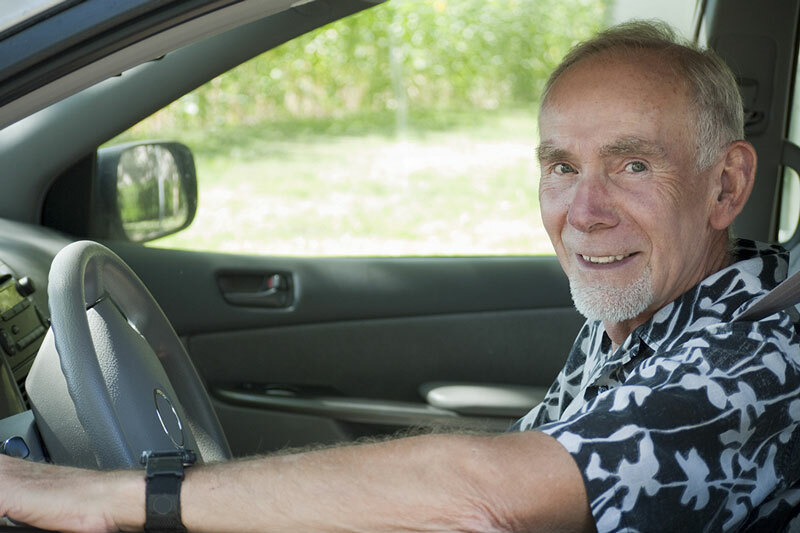 And our older driver is happy, and when someone is happy, it is proven to improve their health, and ultimately less pressure on our health system! Everybody wins! So back to ‘old mate’ driving me, he obtains licences and permits, completes checks, buys a car, fuels up and goes into business for himself, self-employed at 68! All the while his actions are having a ripple effect, expanding or creating new industries, new hire/rental companies are being created, finance, rental and insurance companies and services, mechanical repairs, tyres, car washing business, all leading to more staff, more new jobs and more tax revenue for the government, it goes on. The need for something different creates new opportunities. ‘Uber’ recognised it. The ride sharing industry arose out of necessity as a disrupter because of an incumbent’s lax attitude, in an industry once controlled by a dominant player where with no competition, service went down and prices were high commensurate to the service being offered. And when they realised what was happening, it was all too late. They were never blindsided, they just failed to change. It has created a whole new micro economy in a new world and while we live in this new world with many benefits, the ‘stage coach, steam train and abacus’ have all sailed on wind-assisted wooden sailing ships with the Dodo bird. While they may still work, they serve no purpose other than in museums as items of fascination for our children, who are using hand held devices, some as young as 12 months old. Even Governments cannot stand in the way of progress. Disruption is healthy and refreshing. Evolution is the law of nature. The ‘ride share’ industry has sprung up everywhere and now there is much competition. In time, Uber, synonymous with ride sharing, will fall by the wayside perhaps to be pushed aside by the next new disruptor or perhaps it will evolve into something bigger, better and bolder. If they don’t embrace change, they will be like the explorers of the wild west, they will get the arrows, while the new pioneers will get the land. One day our future generations will walk through virtual museums looking at these strange objects called ‘writing pens’ with framed parched papers hanging from a virtual wall, with ancient words scribed by man not that long ago, not Egyptian hieroglyphics but modern English handwriting once used by humans as an ancient means of communication. Digital disruption once again at work. It is not for the human spirit to sit idle. But it is in the human spirit though to sit back and whinge about change.